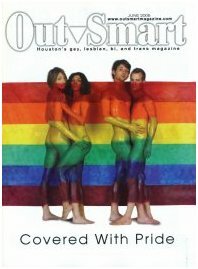 with overlap. 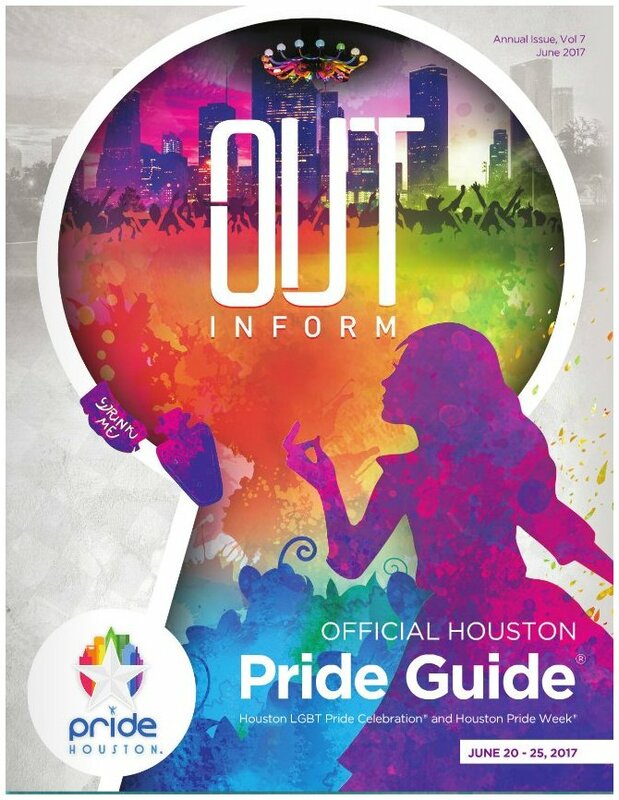 With some viewers you may need to rotate the pages. 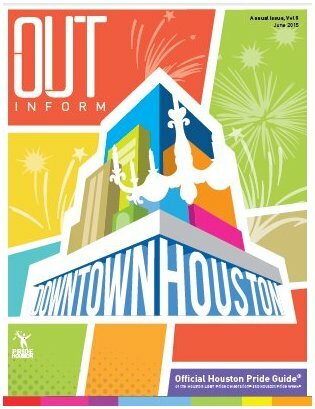 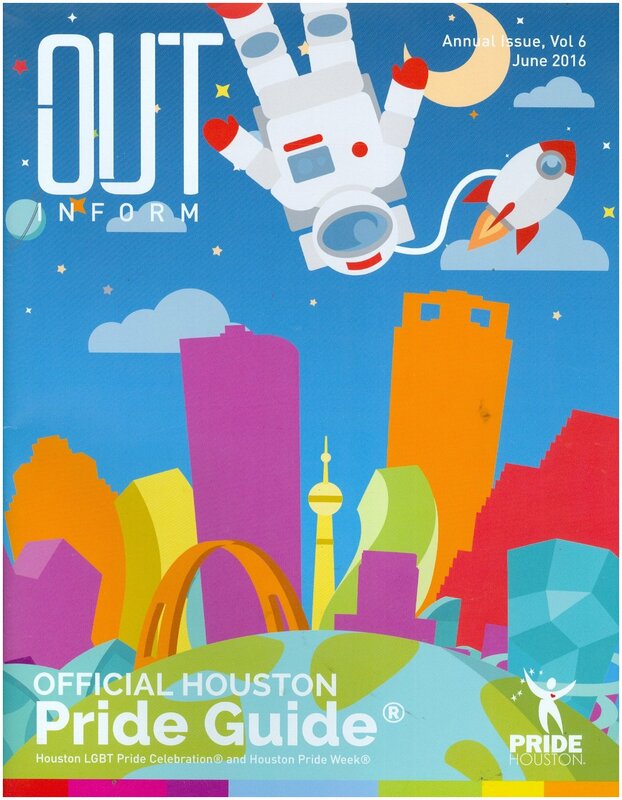 a city, obviously in our case, Houston. 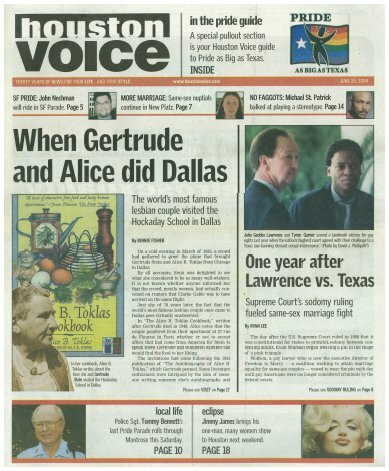 Around fifty pages of "local"
pages were scanned, omitting almost all ad pages. 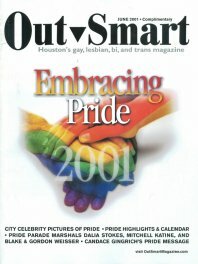 I greatly thank several organizations and people for help in this project. 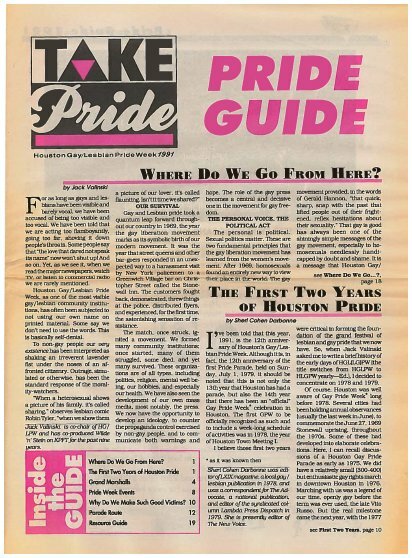 Guides from 1980, 1987 and Upfront are courtesy of the Botts Collection. 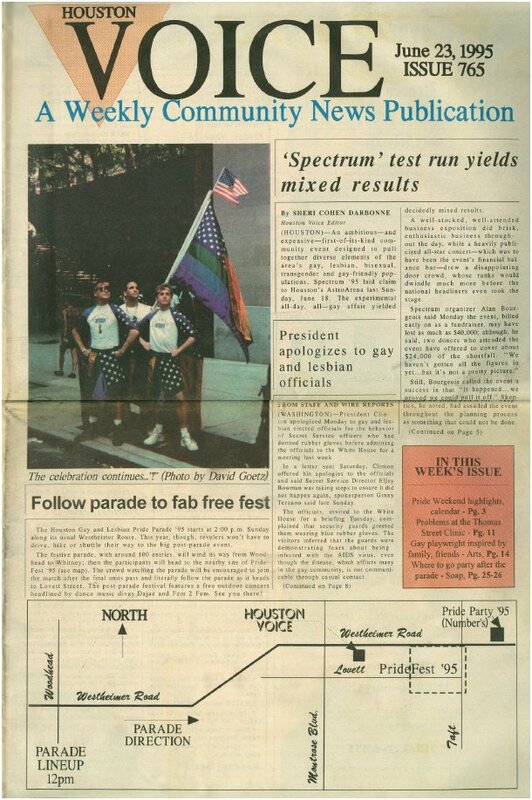 who stated that no guides were published for 1982-1986.
by the ONE Archives at the USC Libraries in Los Angeles. 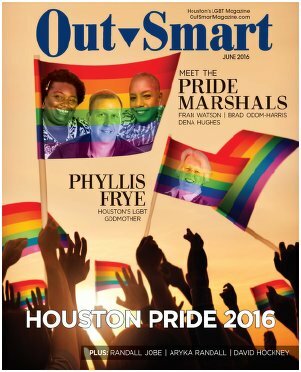 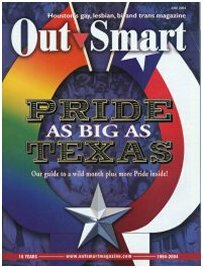 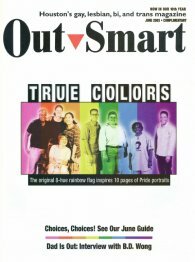 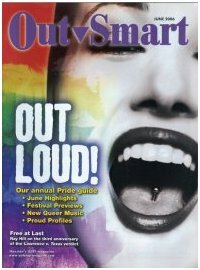 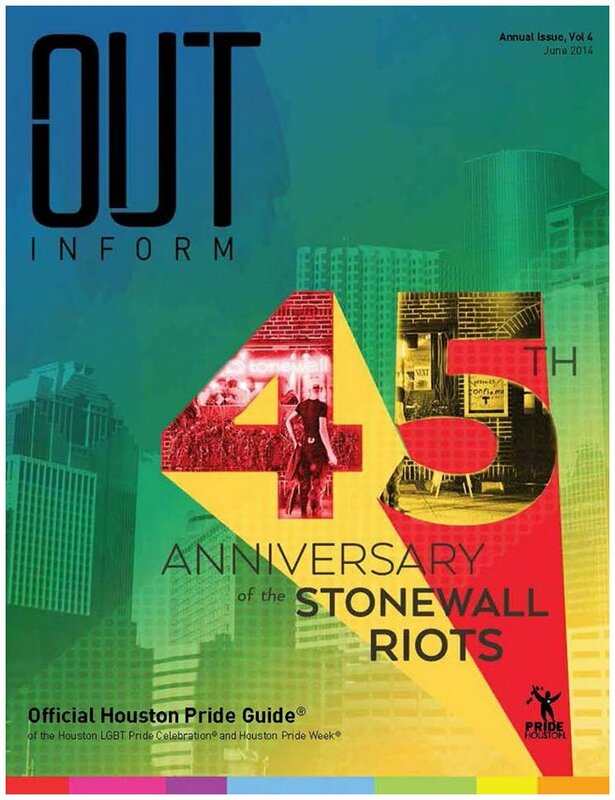 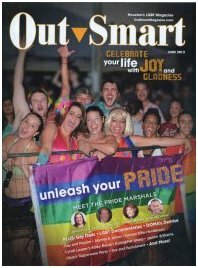 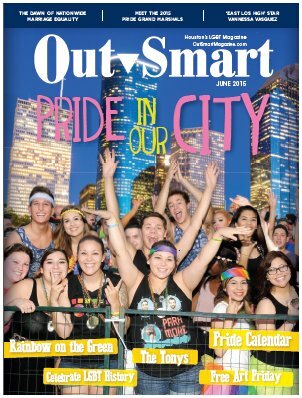 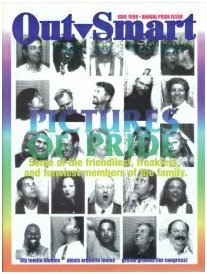 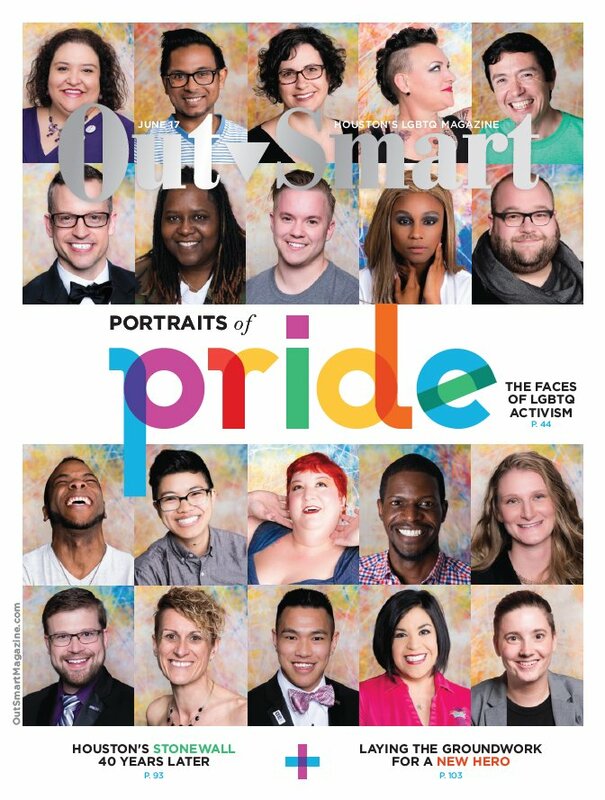 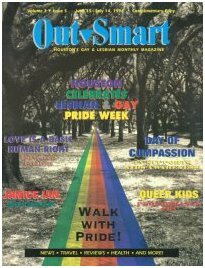 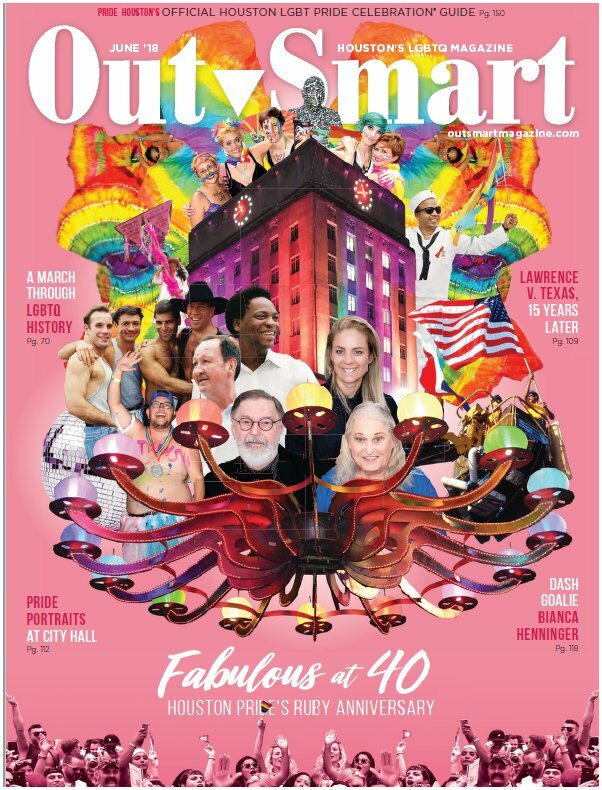 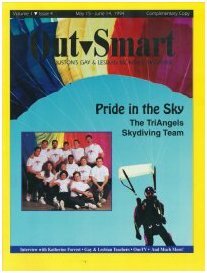 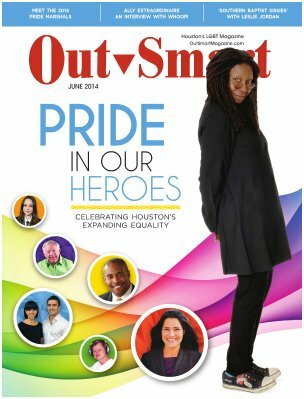 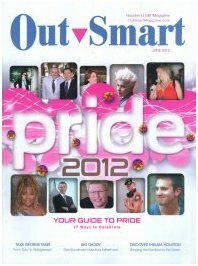 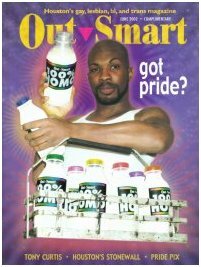 Outsmart published the Official Pride Guides for 2009, 2010 & 2018. 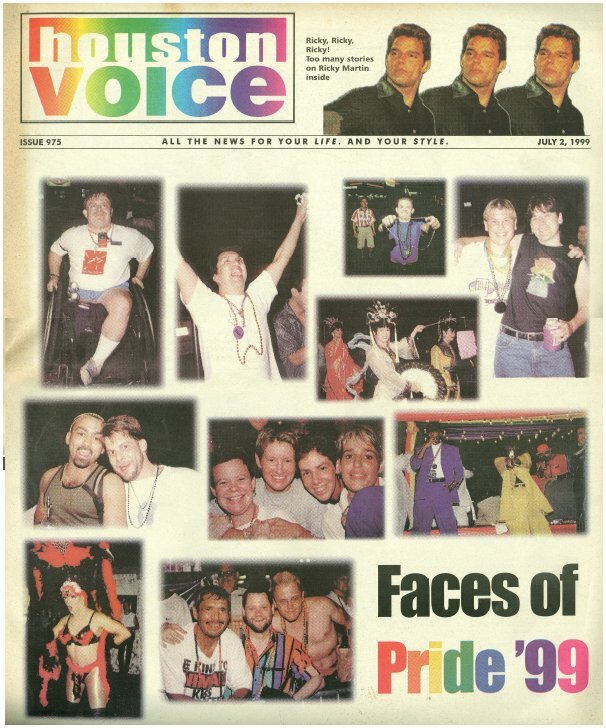 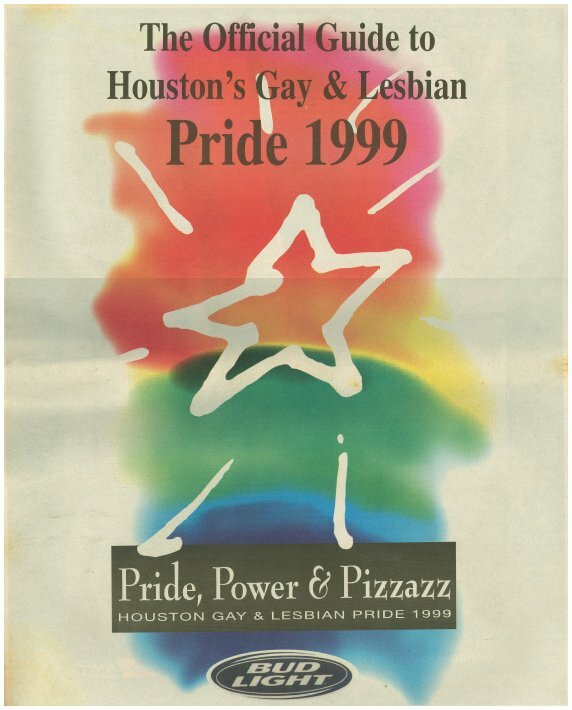 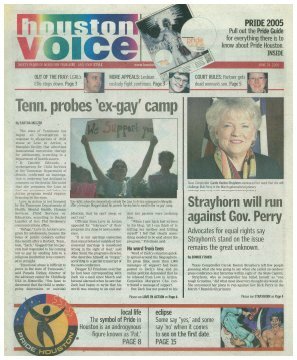 In all cases I only scanned the pages relevant to Pride. 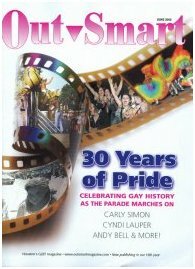 as an excellent supplement to the information on this history. 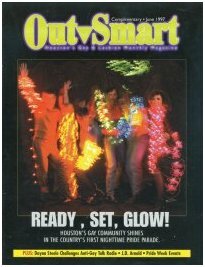 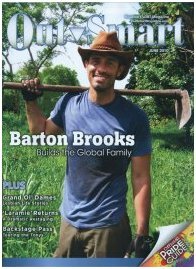 The 2017 and 2018 issues are complete ones, downloads from their site. 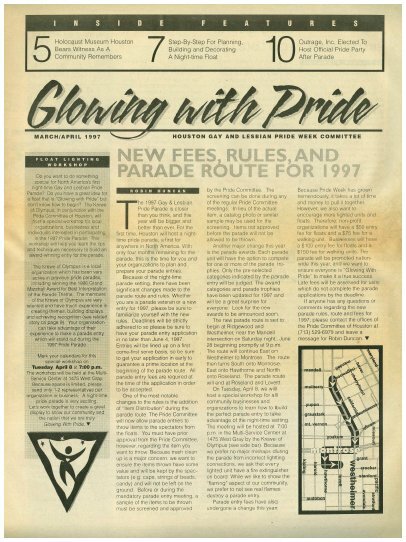 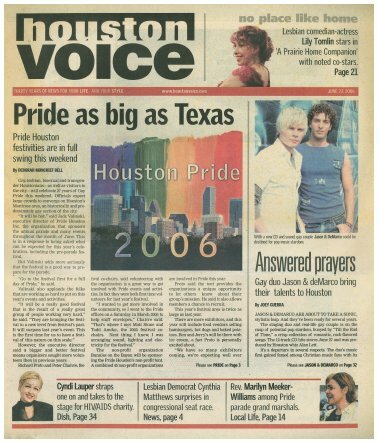 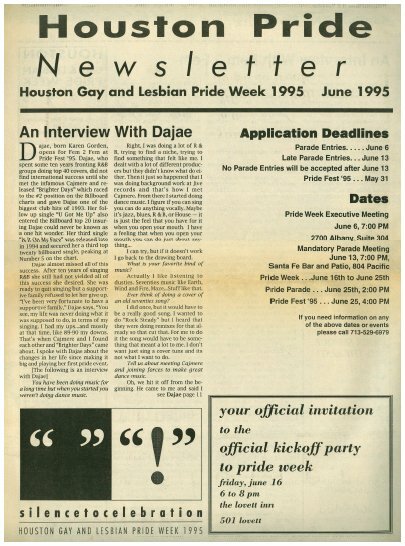 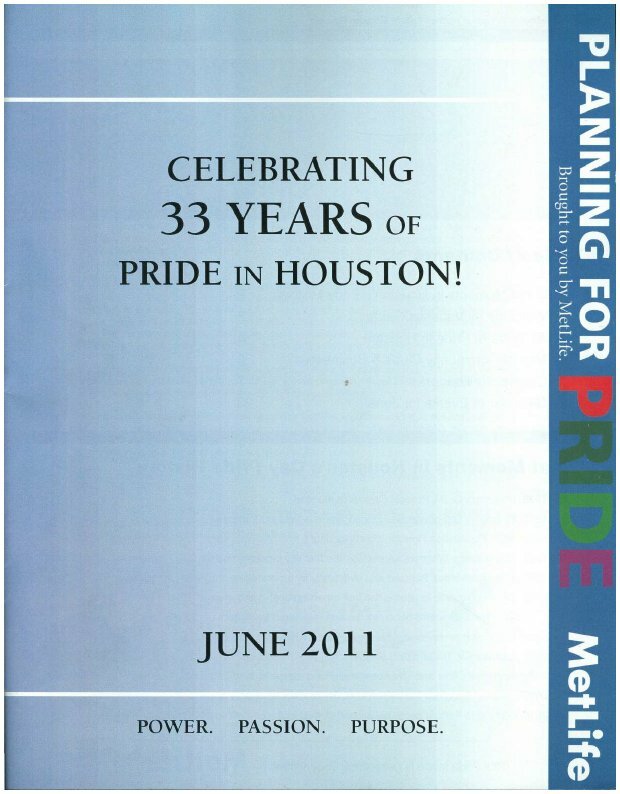 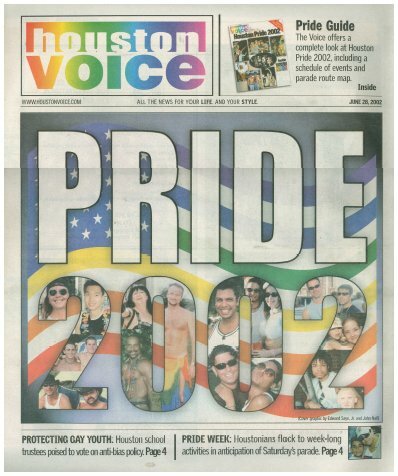 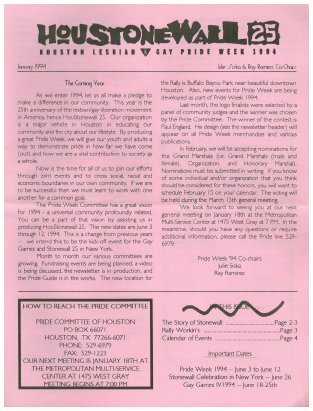 In 2011 Metlife published "Planning for Pride"